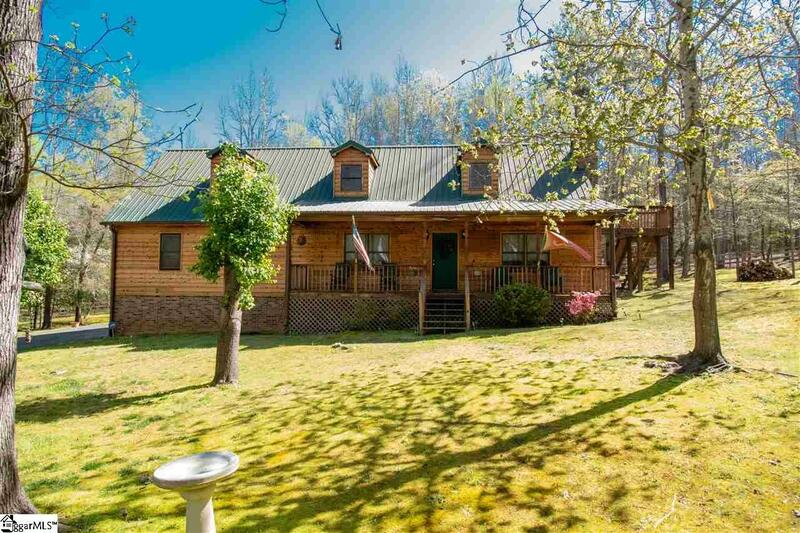 Beautiful, quaint Cedar wood cottage situated on 6.5 acres in a quiet, peaceful cul-de-sac. 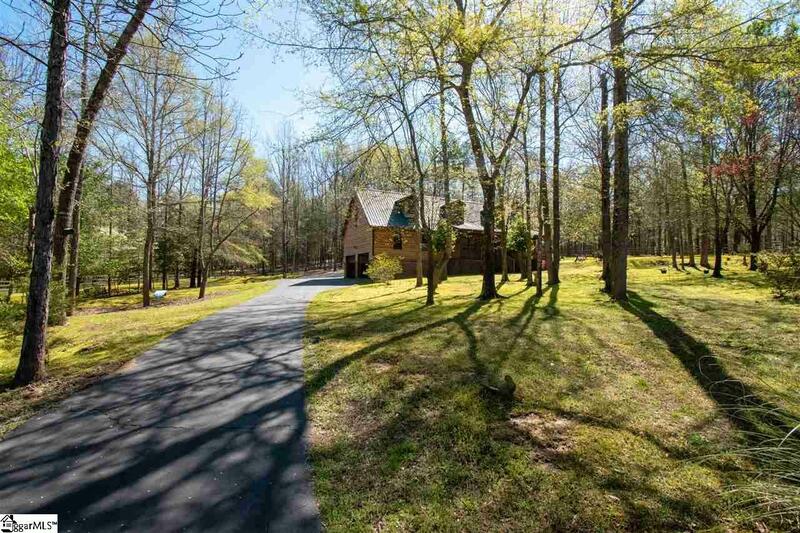 Outdoor, country living, just outside of the hustle and bustle of Simpsonville's Fairview Rd. 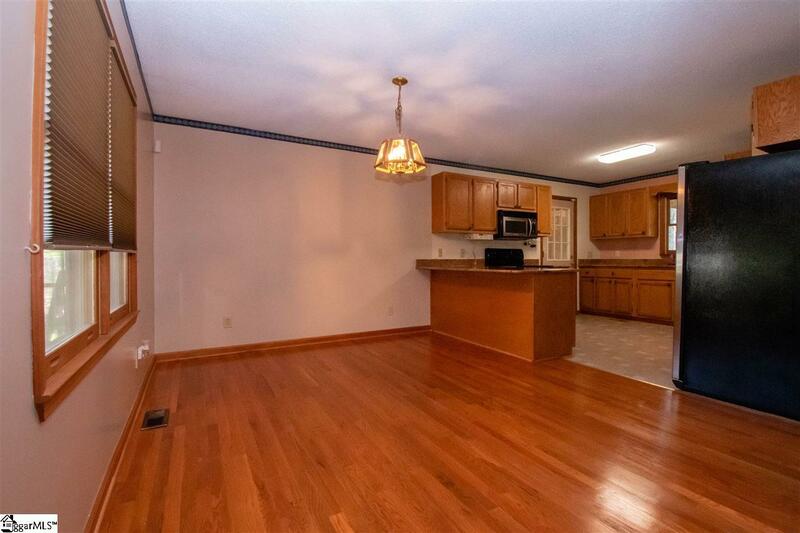 Located in Fairview Forest, this home will make you think you are living deep in the woods on a mountainside. The home was custom built in 1992 and is perfect for the empty nester, northern snowbird or anyone who just enjoys privacy and the great outdoors. 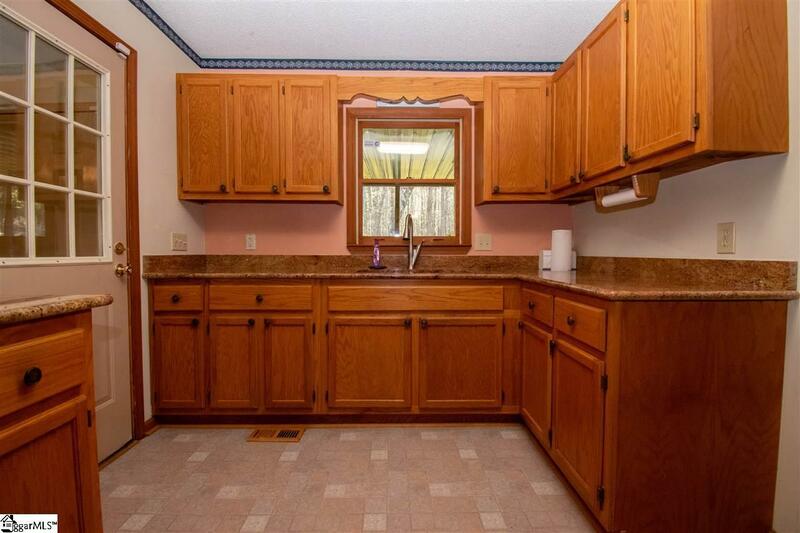 It has a terrific welcoming cabin feel. Very simple in design with a full length rocking chair front porch opening up to a living room, dining room, kitchen, bedroom and full bathroom downstairs. As you walk up the stairs, you will find 2 more bedrooms to the left. The larger of which, on the other side of the smaller one, can be used as a bonus room. Turning right at the top of the stairs will take you into the loft area, overlooking the living room, and out onto the massive wrap around deck and down into the screened in back porch. The sprawling acreage has been cleared, but is still wooded and was used as a sanctuary for timberwolves but is perfect for horses.